The bloodshed complicated the mission of Egyptian mediators, who have intensified shuttle diplomacy to achieve calm and prevent a full-blown conflict between Hamas and Israel. The sides have fought three wars over the past decade, and Israel and Egypt have maintained a stifling blockade on the territory. The weekly protests along the fence have been aimed in large part at breaking the blockade, which has devastated the Gaza economy. On Wednesday, Egyptian intelligence officials met representatives of Palestinian factions in Gaza. Loay Qarouti of the Popular Front for the Liberation of Palestine General Command said the mediators asked them “to protect the lives of protesters and minimize losses among them”. Egypt wants to restore calm in order to pursue the broader goal of Palestinian reconciliation between Hamas and the West Bank-based administration of President Mahmoud Abbas. Abbas lost control of Gaza in the 2007 takeover. Since the marches began on March 30, at least 210 Palestinians present or taking part in the protests have been killed and more than 18,000 were wounded. 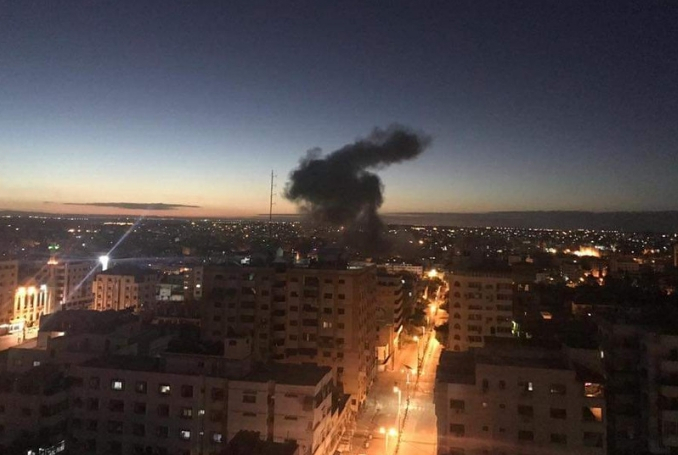 Be the first to comment on "Israeli Jets Hit Dozens of Sites in Gaza (VIDEOS) #Palestine #GroupPalestine #israelTerrorists #boycottIsrael"